Bird’s eye view of the experiment setup on the fish tank. My experiment is designed to measure the difference between plants growing in the aquaponic system that have been supplemented with worm castings and those that have not. My hypothesis is that the plants grown with vermicompost will grow faster and healthier than those grown with the aquaculture water as their only nutrient source. 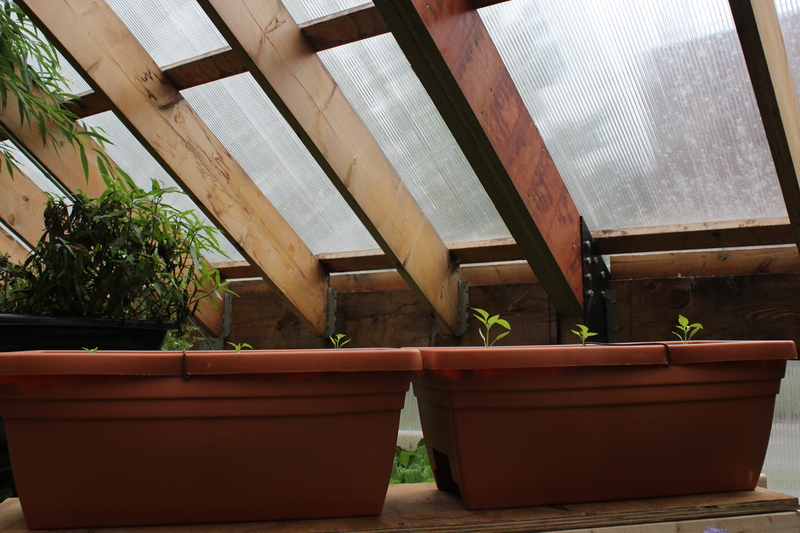 I am using bell pepper plants for my experiment because of their manageable size and the fact that they can tolerate the summer heat of the greenhouse. I started the plants from seed and measured and watered them daily until they were ready to be transplanted into the aquaponic system. There are two groups of three plants each: the experimental group and the control group. The groups are growing in separate containers, each filled with a mix of gravel and recycled glass “Growstones.” Nutrient-rich vermicompost from the worm bin was added to one container to create the experimental group. The worms were provided with organic material including scraps of strawberries, avocados, spinach, cantaloupe, watermelon, mushrooms, microgreens. Bell pepper plants growing in a mixture of gravel and Growstones. 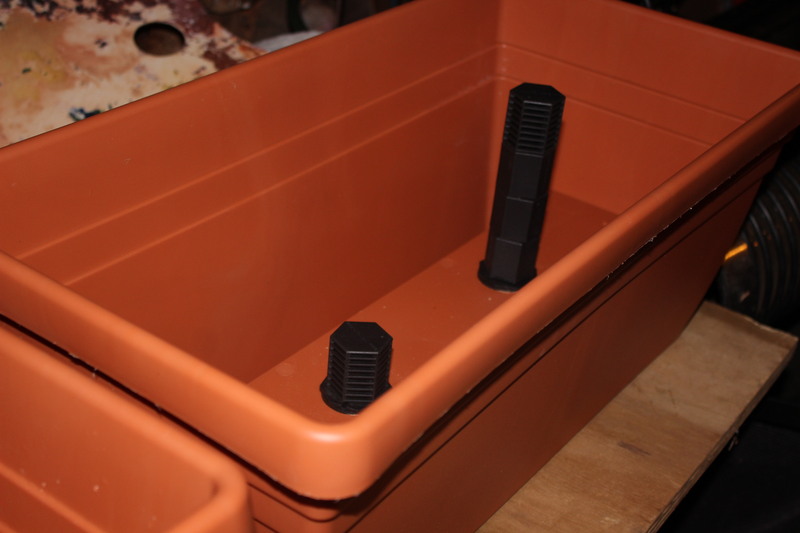 Both containers are outfitted with a flood-and-drain system that allows the container to be filled with aquaponic water at regular intervals throughout the day. A pump controlled by a timer fills the containers with water from the fish tank. 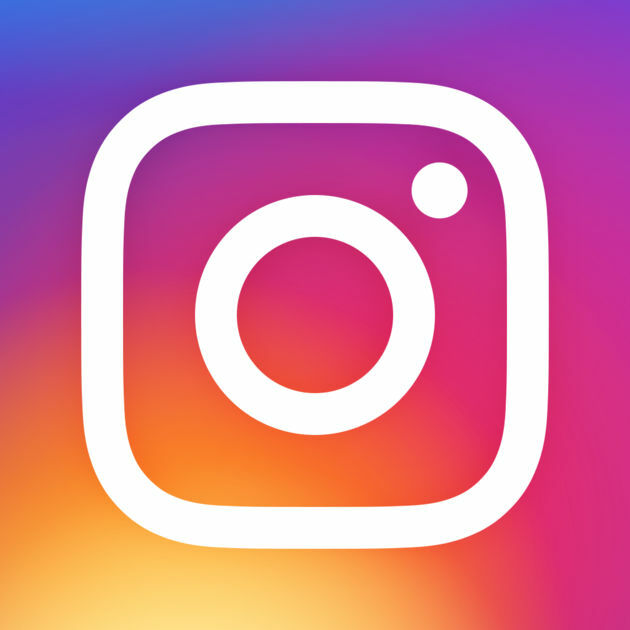 Once it reaches an overflow drain, the water level is held constant for 15 minutes until the pump shuts off and the water drains back through the bottom of the container. As the water drains, air is pulled down into the gravel to aerate the roots. The flood-and-drain method provides nutrients to the plants’ roots and keeps them moist without being water-logged. The flood-and-drain components before the containers were filled with stones. 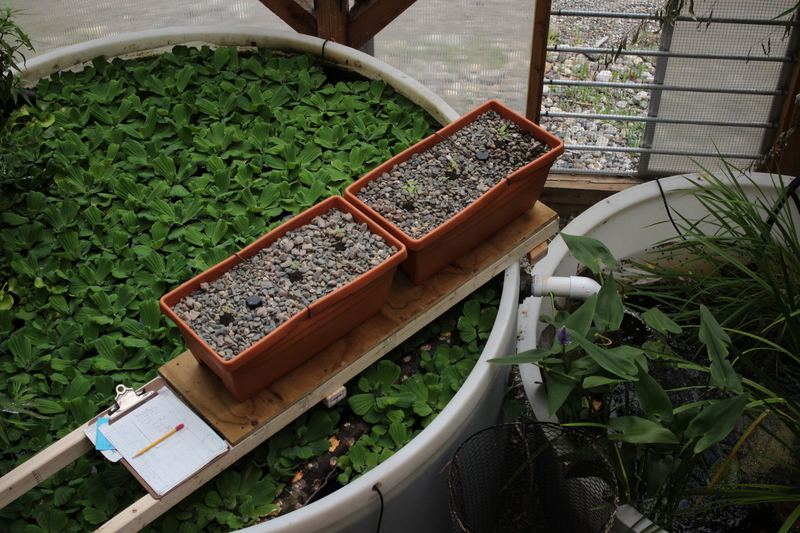 Three weeks after the plants were transferred to the aquaponic system, the experimental group is showing the benefits of nutrient-rich vermicompost. The experimental group plants are taller and their leaves are more developed than the control group plants. 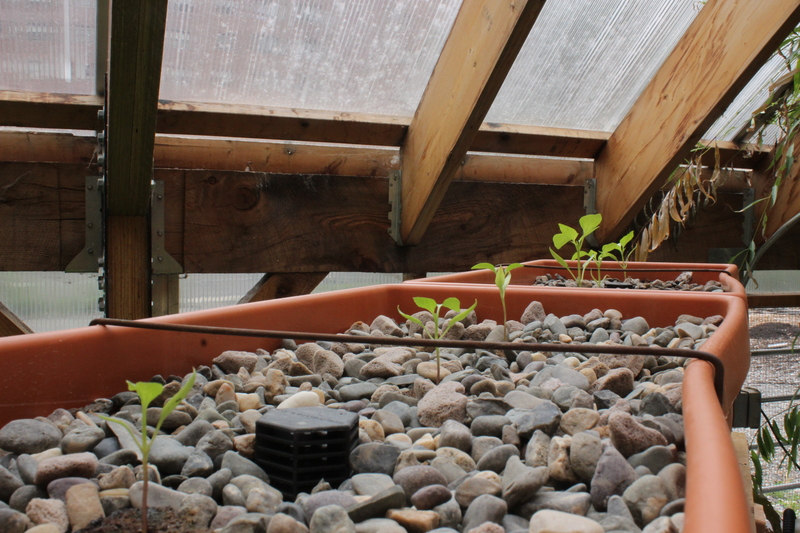 This photo was taken in the third week after the plants were transferred to the aquaponic system. The experimental group is the container on the right. Stay tuned for updates on the progress of the experiment!